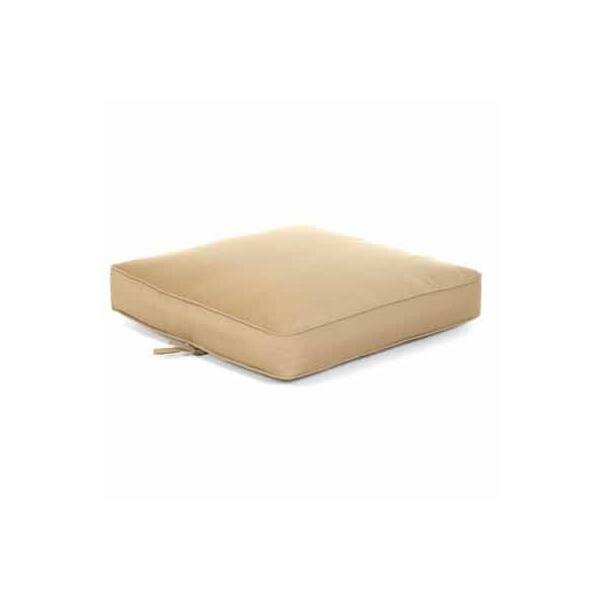 Ottoman cushions are often the first to wear out; Classic Cushions makes it easy for you to get yours replaced. Designed for Hanamint Cast Aluminum Collections like the Biscayne and Vista, this plush cushion will invite you to put your feet up and relax. The tailored boxed edge with self-welt is perfect for elegant cast aluminum, and the handy tie on the bottom of the cushion will keep it firmly in place. Mix or match with your choice of designed Sunbrella fabrics that are constructed to be fade and water resistant and are easy to clean. 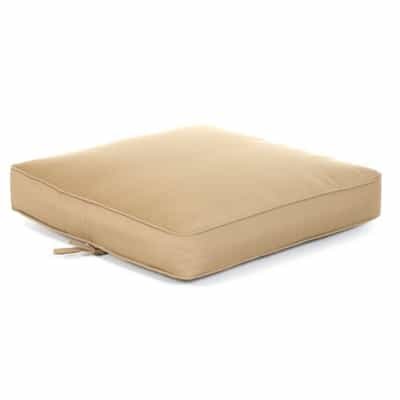 The Hanamint 3.75" Thick Ottoman Replacement Cushion has a quick-draining Dacron core.